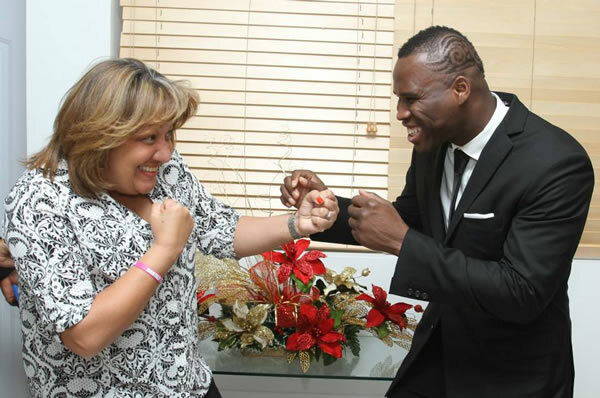 Here is a picture of the Haitian first Lady Sophia Martelly and the Haitian Canadian boxer Stevenson Adonis. In this picture, Sophia is showing some move. What do you think about this picture of the first lady and Stevenson Adonis?